Epson L360 Multi function Ink Tank System drivers for Windows and Macintosh. Download Epson L360 Multi function Printer Driver : Epson L360 is a multi function ink tank printer of the low cost printing. Here we will be sharing the Drivers of the Epson L-360 printer and Scanner, you can download the driver from the following link. 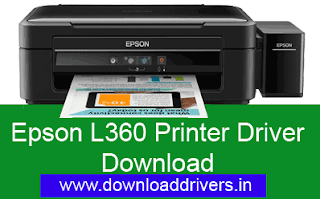 You can download Epson L360 printer and scanner driver from here for your OS like Windows XP, Windows 7, Windows 8, Windows 8.1, Windows 10 (64 Bit/ 32 Bit) and Macintosh. Epson L360 Printer Driver Download (Supported OS Windows 10 (32bit), Windows 8.1 (32bit), Windows 8 (32bit), Windows 7 (32bit), Windows Vista (32bit), Windows XP. 9 Responses to "Download Epson L360 Printer Driver for Windows And MAC"
i have reset epson L360, but the status "Communication error occurred. Check the I/F cable connection and power of printer." try to change the USB Cable or try to the other USB Port of the PC.